Christian Opportunity Center | Supporting PEOPLE. Changing LIVES. Christian Opportunity Center earned its 12th consecutive three-year accreditation from the Commission on Accreditation of Rehabilitation Facilities (CARF) for community employment services, community integration, and organizational employment services. CARF is a nonprofit organization focused on advancing the quality of services among health and human service providers. 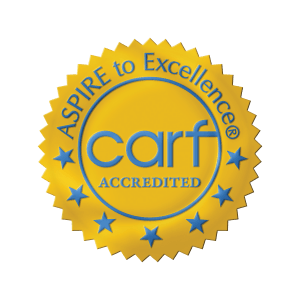 CARF provides accreditation worldwide and providers that meet CARF’s standards have demonstrated commitment to being among the best available. In order to achieve accreditation, a service provider must complete an internal examination of its program and business practices and request an on-site survey conducted by a team of expert practitioners selected by CARF. The provider must demonstrate that it conforms to rigorous and internationally recognized CARF standards. The on-site survey was conducted Nov. 4-6 and COC was notified of the accreditation award on Jan. 4. People with disabilities face a variety of options when deciding what services to utilize and who should provide them and CARF accreditation is a sign of quality and is an important consideration in their decision making. November’s survey included COC’s Community-Based Employment and Life Skills programs in Indianola, Oskaloosa and Pella, as well as Sheltered Employment programs in Oskaloosa and Pella. COC also provides residential supports and services in Des Moines, Indianola, Knoxville, Oskaloosa, Pella and Waukee, but these services are regularly reviewed by state regulatory agencies. Founded in 1969, COC provides residential and vocational support and services to nearly 300 people with disabilities in Dallas, Mahaska, Marion, Polk and Warren counties. For more information visit http://christianopportunity.org/ or connect with Christian Opportunity Center on Facebook and IowaCOC on Twitter. Following a comprehensive search process, Christian Opportunity Center promoted longtime employee Kim Koellner to Regional Director of Vocational and Day Services after an 11-year stint as Program Manager in Oskaloosa. Koellner joined COC in 1987 as a Residential Advisor in an Intermediate Care Facility. She transferred to Oskaloosa in 1989 and began working as a Work Skills Supervisor, a position she held for 12 years. In 2001, Koellner was promoted to Associate Manager before being moving into the Program Manager role in 2004. 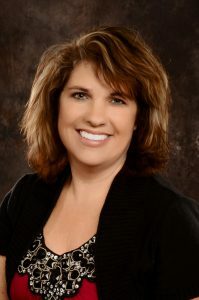 Koellner began her new duties in November. “I am most looking forward to being able to provide the highest quality of services for the individuals we support and to always demonstrate to others COC’s mission,” Koellner said. COC’s mission is to integrate Christian values in teaching skills for life.